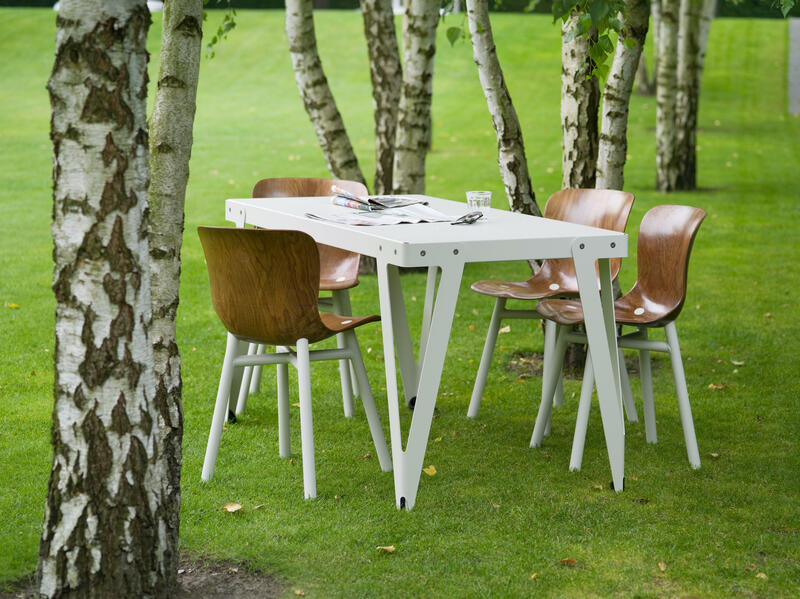 Meet the newest member of the iconic Serener-designed Lloyd collection: Lloyd Low. 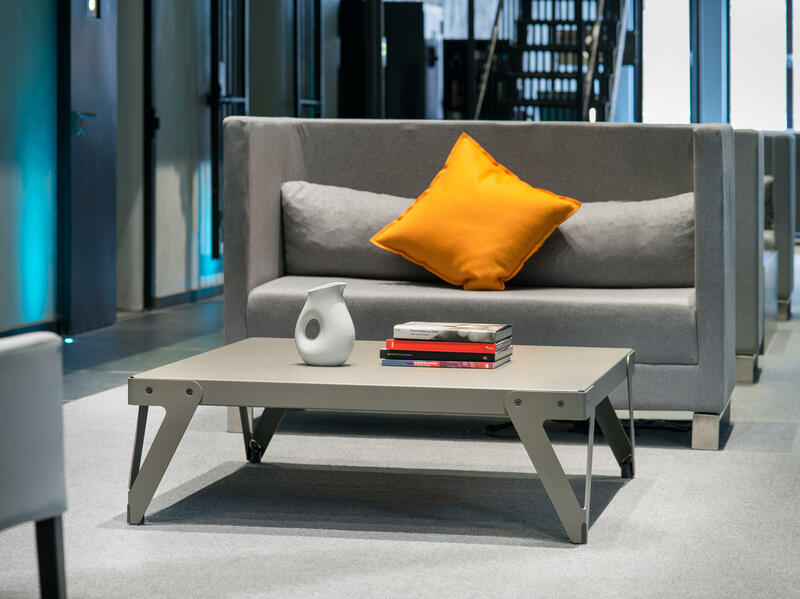 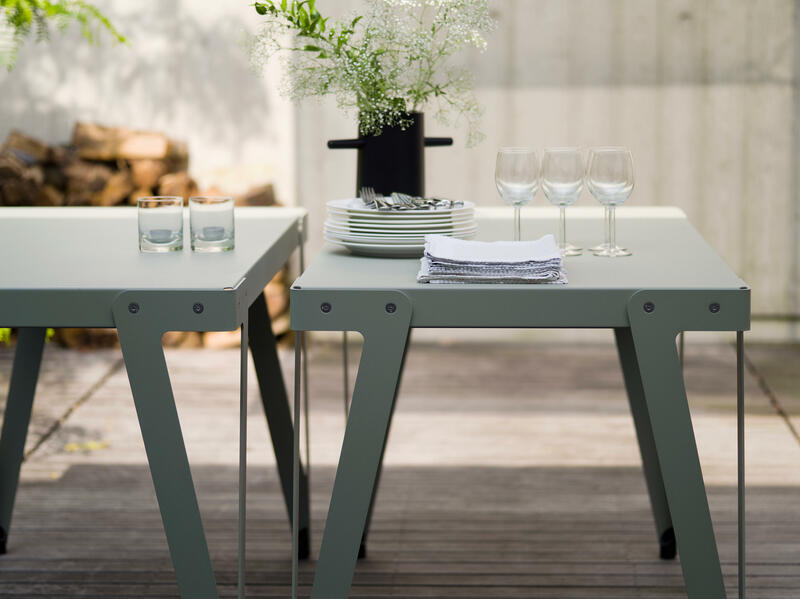 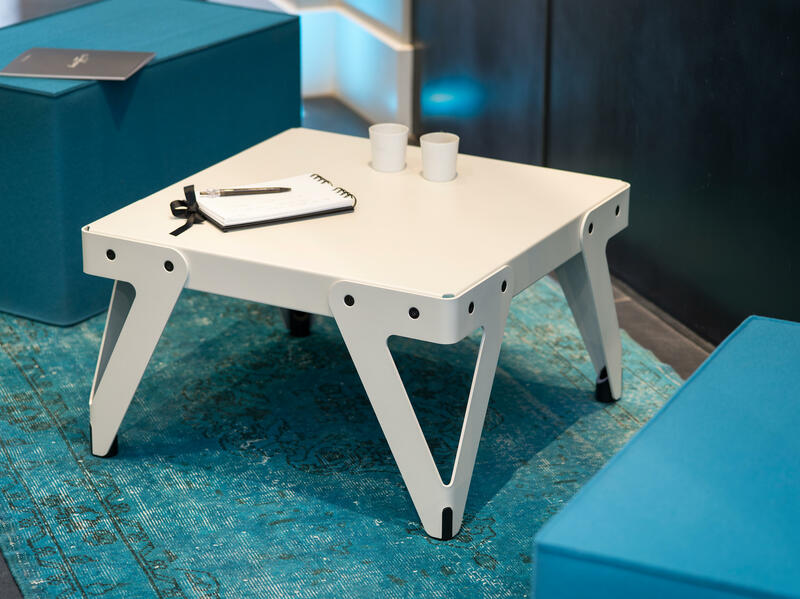 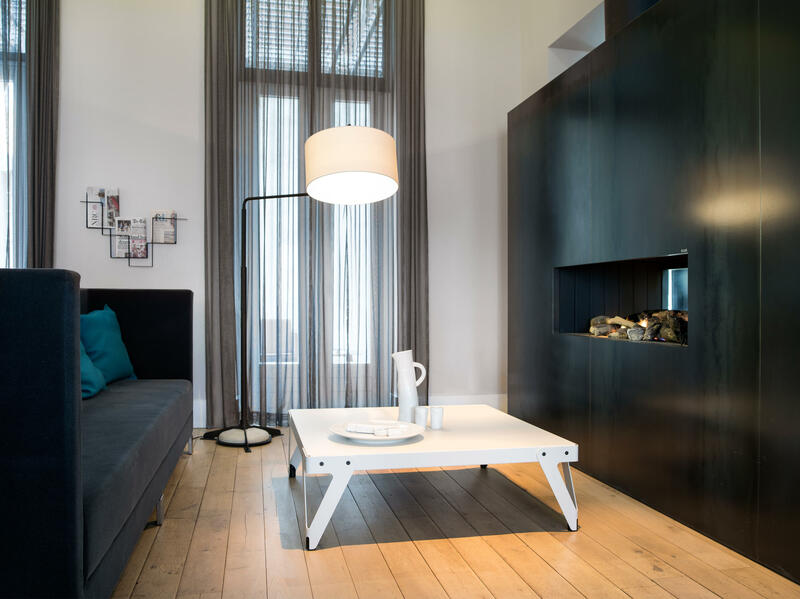 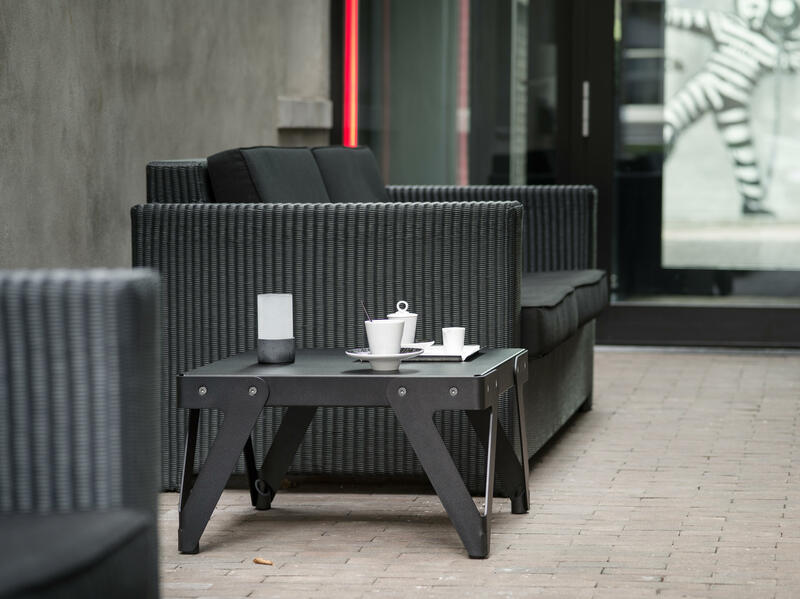 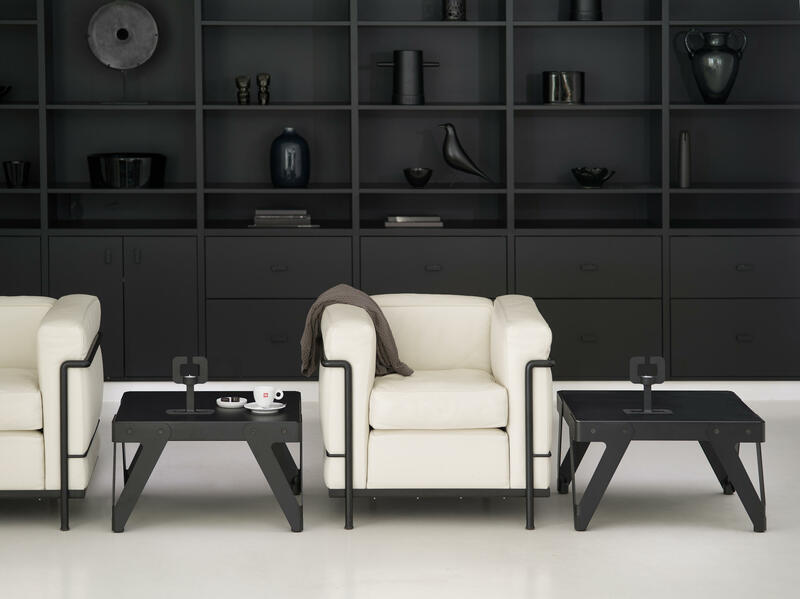 At coffee table height, in different sizes and colors, Lloyd Low is like all members of the Lloyd family ingeniously designed for exceptional stability. 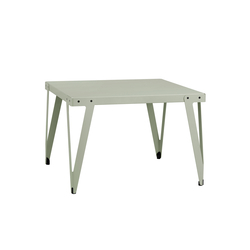 It has a flexible top that allows all four legs to touch the floor even when the surface is wildly uneven. 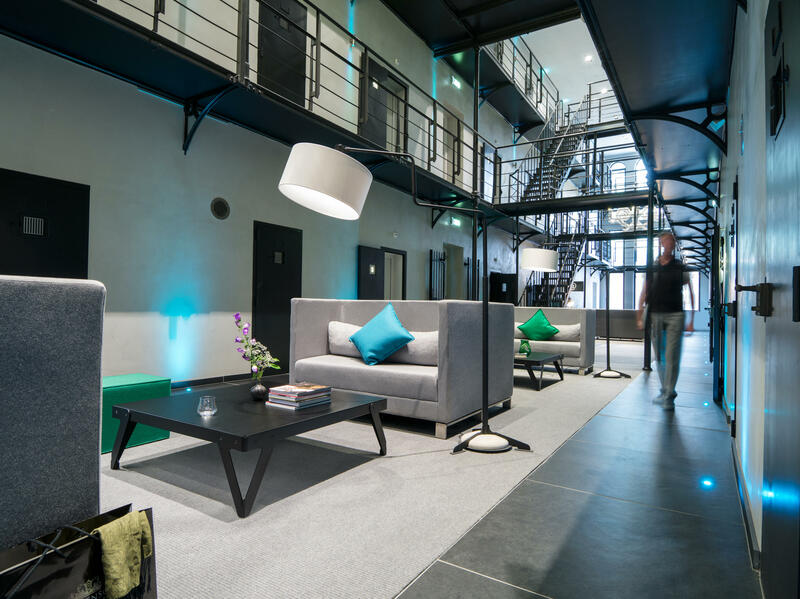 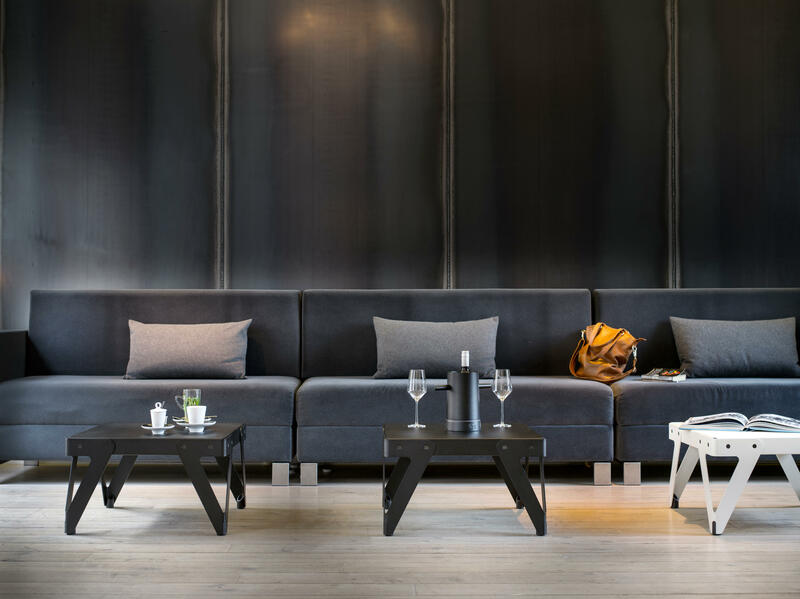 The Lloyd’s history goes back to 2004, with the opening of the avant-garde Lloyd Hotel in Amsterdam’s Eastern Docklands neighborhood. 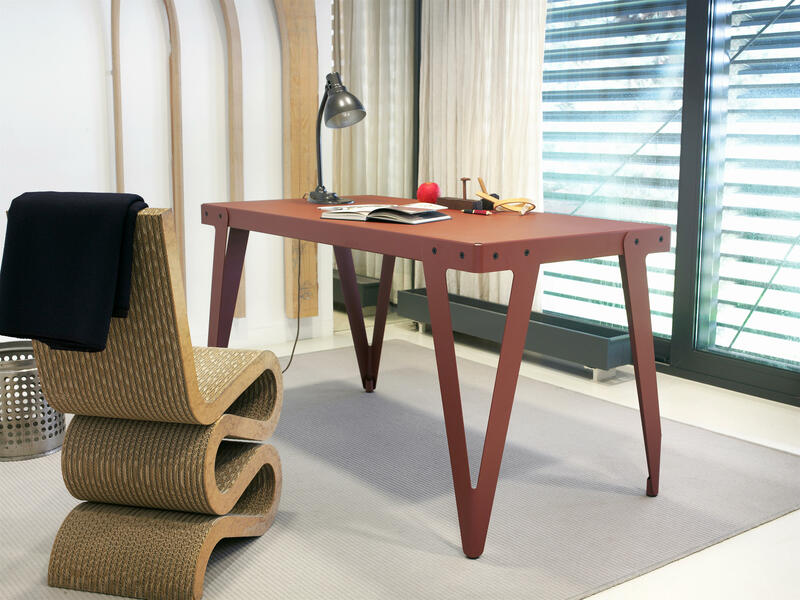 Serener’s Christoph Seyferth designed the sturdy yet elegant table for guest rooms, common spaces, and the hotel restaurant. 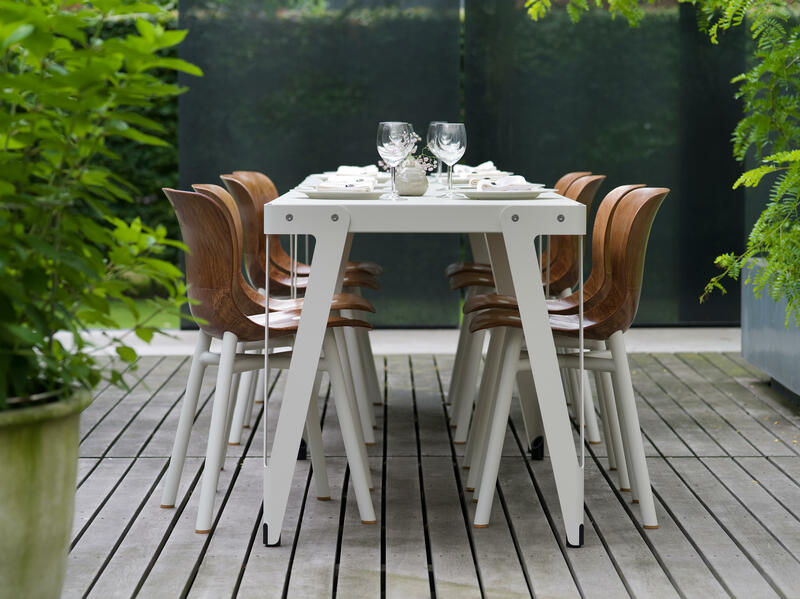 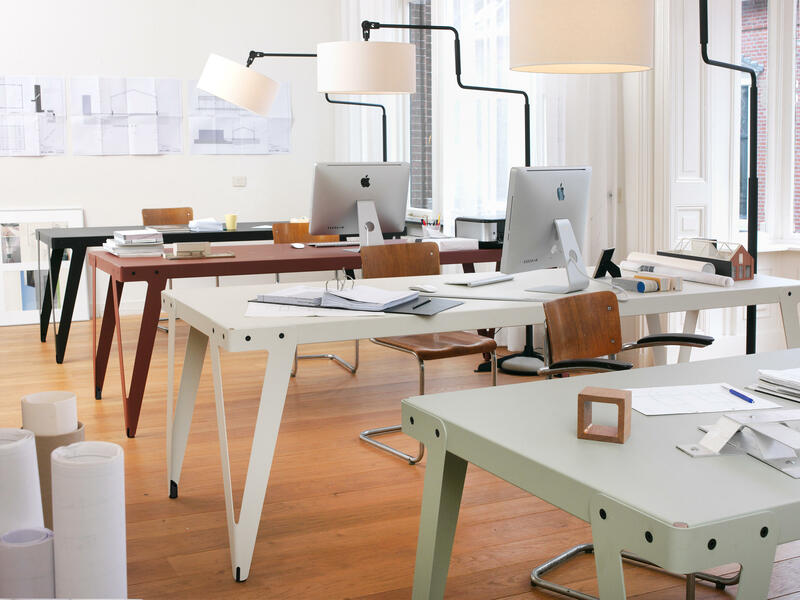 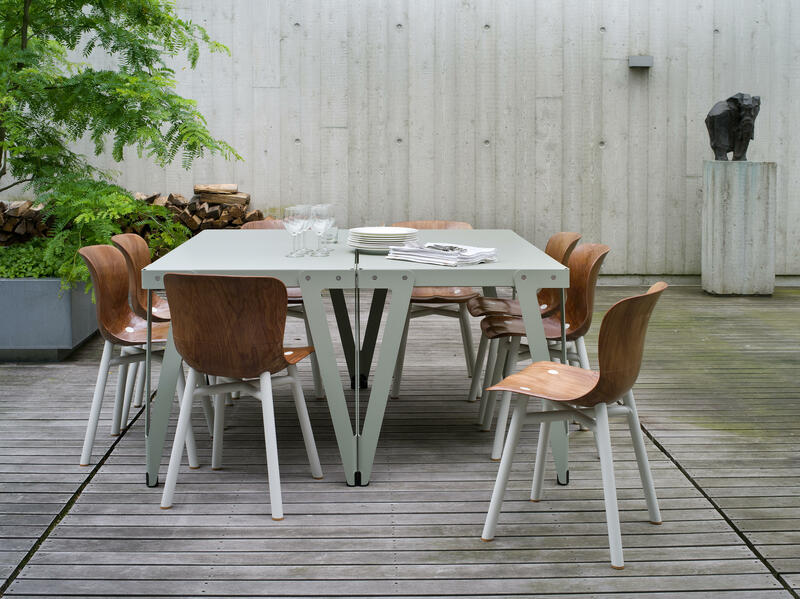 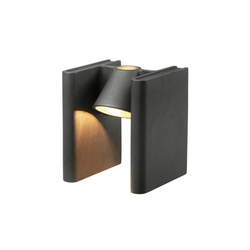 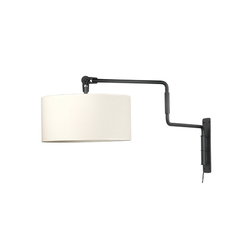 Its ingenious design and industrial good looks have made the Lloyd a new classic of Dutch design. 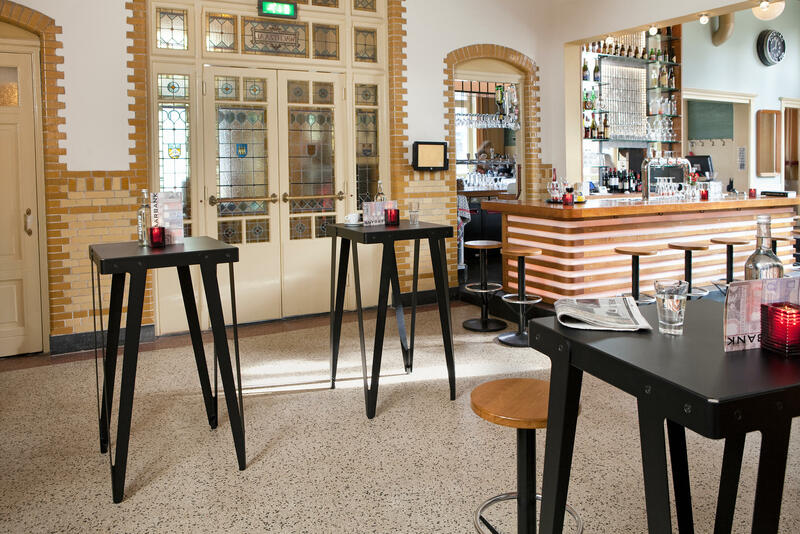 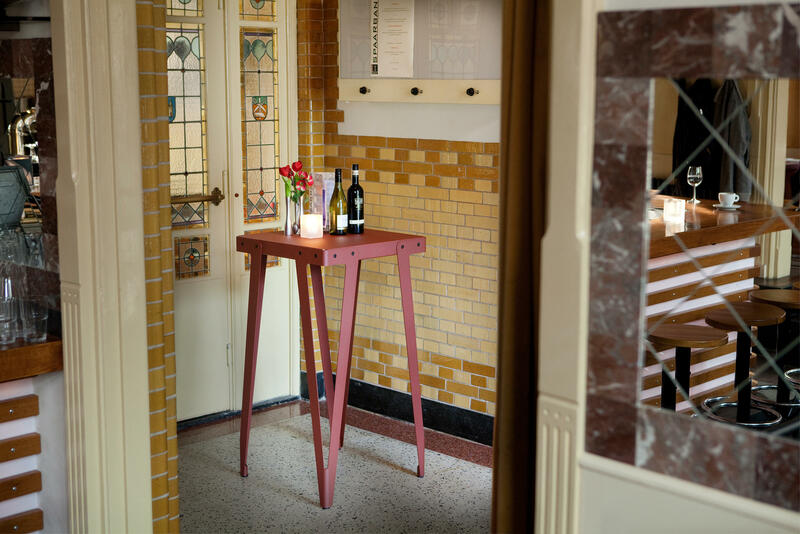 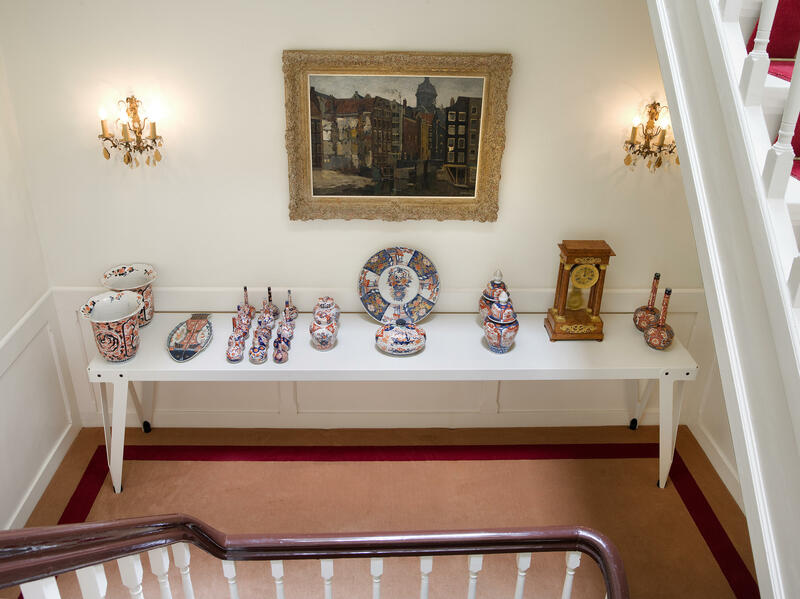 If you have stayed at the Lloyd Hotel & Cultural Embassy in Amsterdam, then you have seen this graceful table in its original habitat. 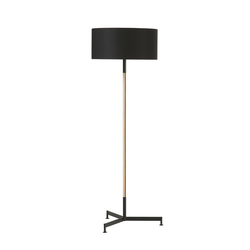 Seyferth specially designed it for the hotel’s guest rooms. 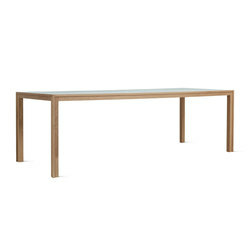 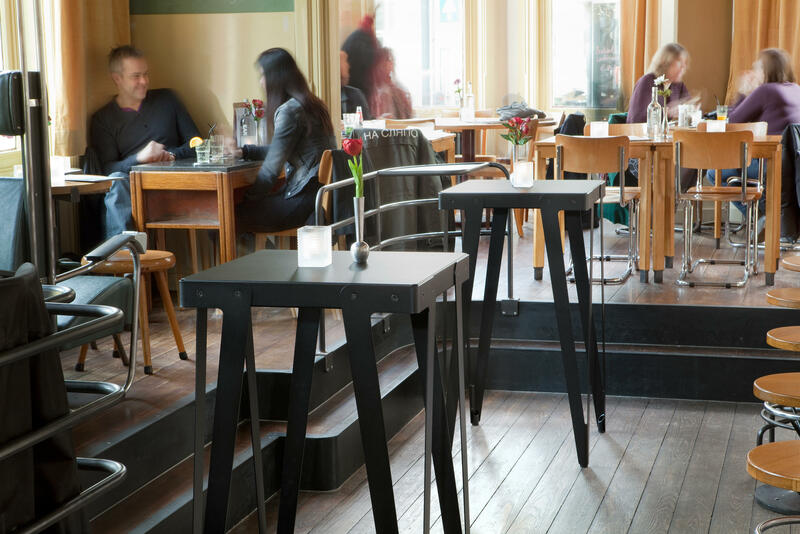 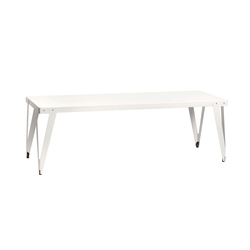 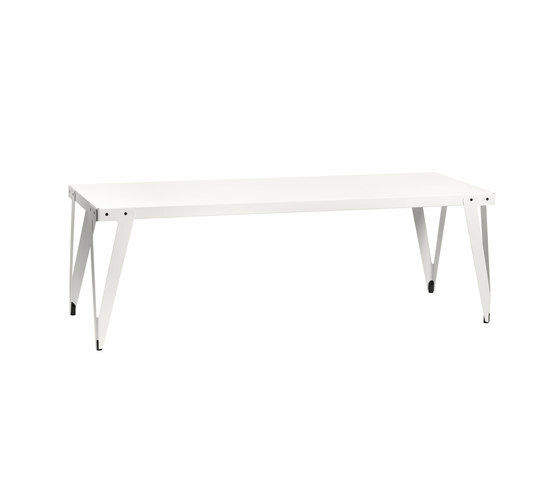 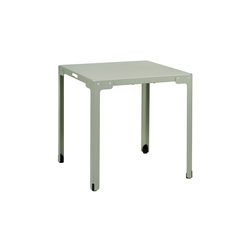 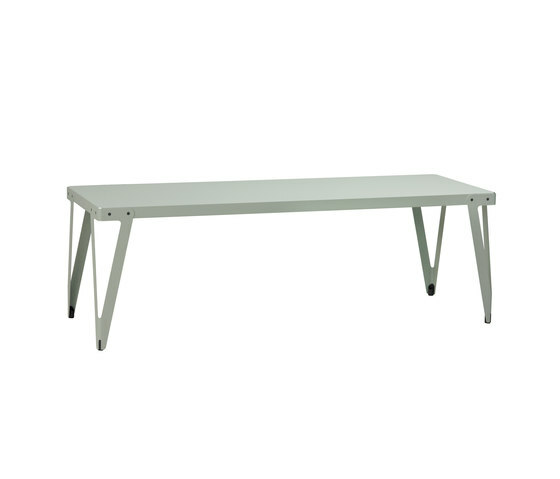 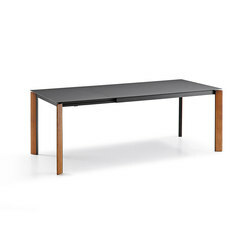 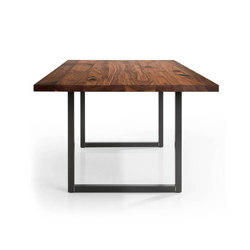 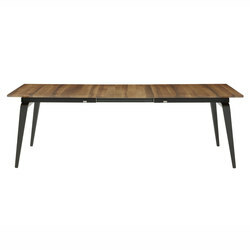 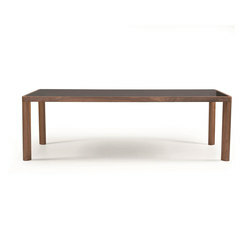 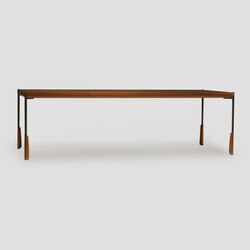 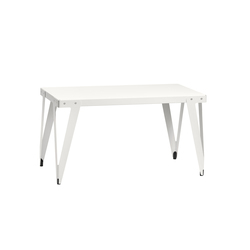 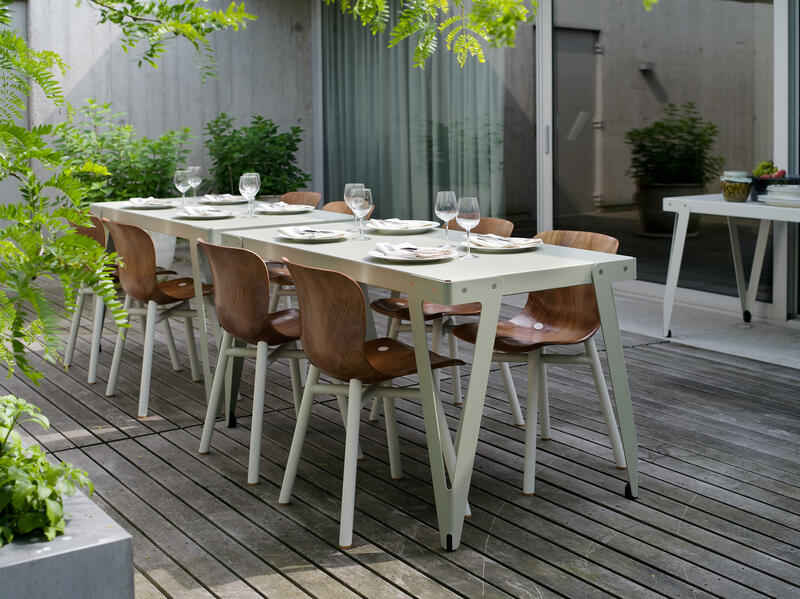 The table, which comes in different sizes, is exceptionally stable. 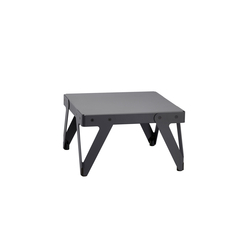 Its flexible top allows all four legs to touch the floor even when the surface is wildly uneven. 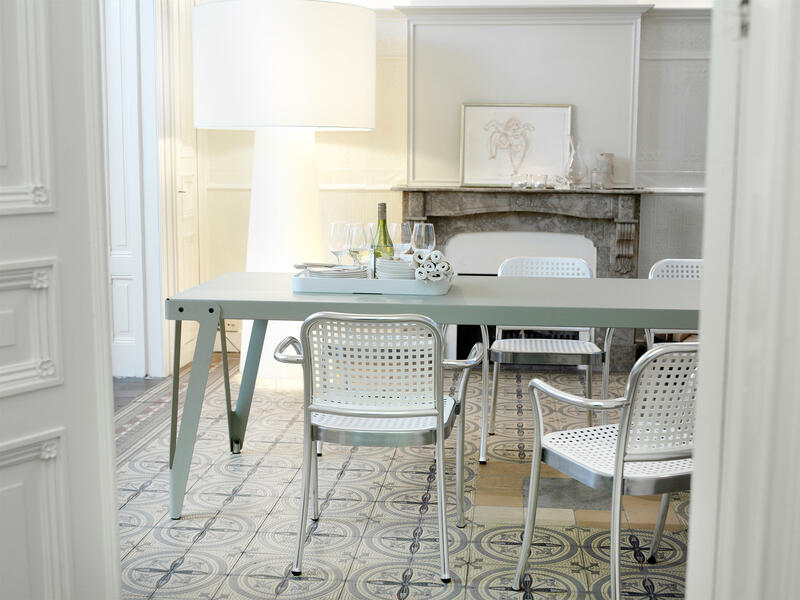 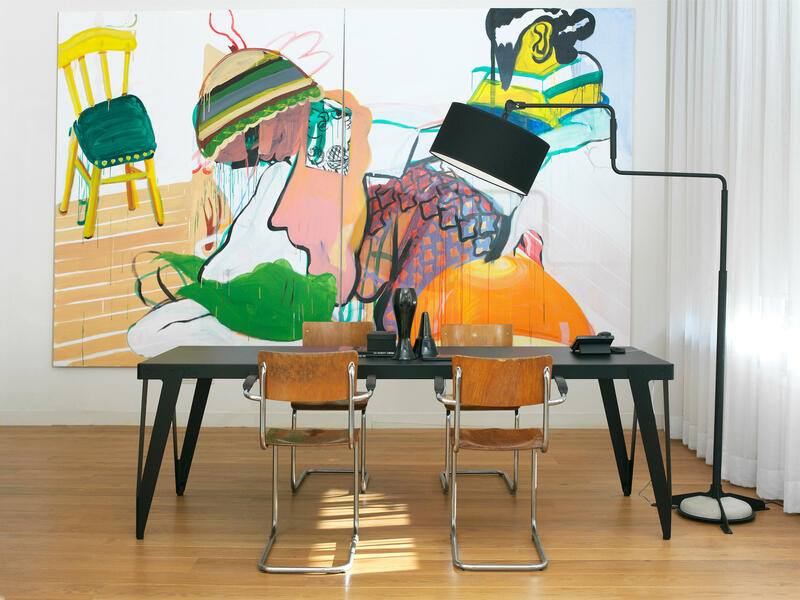 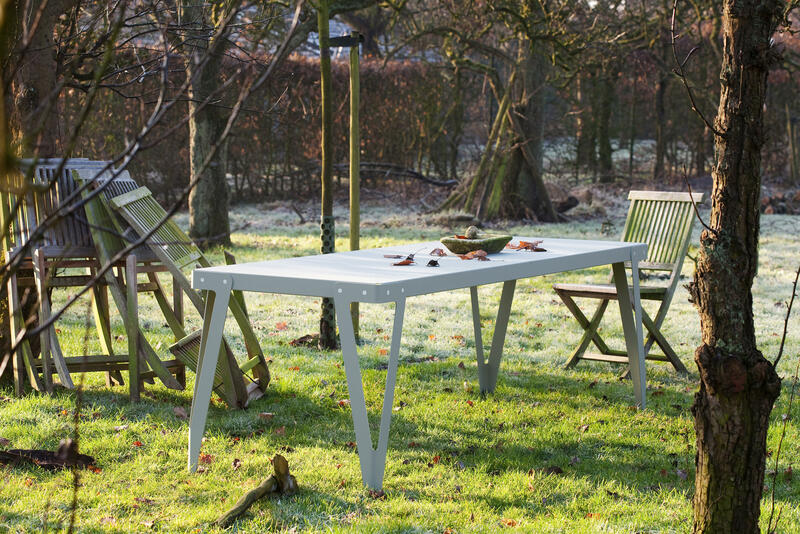 You can use the Lloyd tables as a dining table, a work table or the higher version as a pub table. 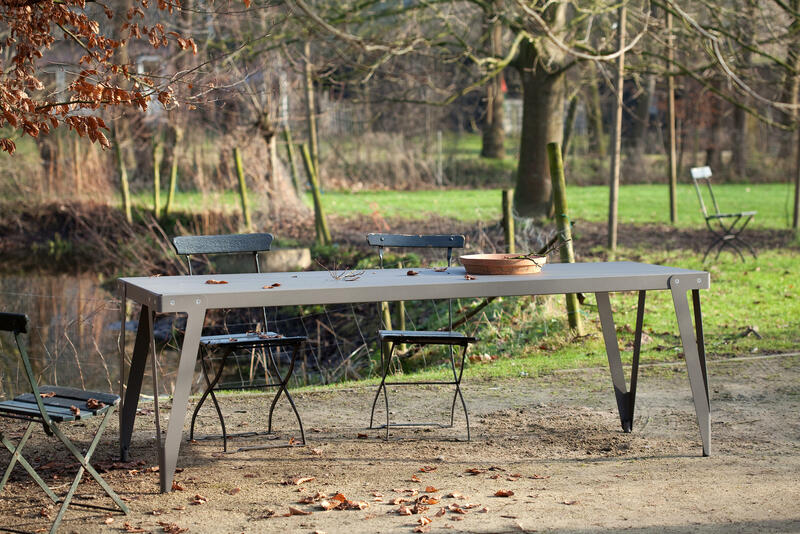 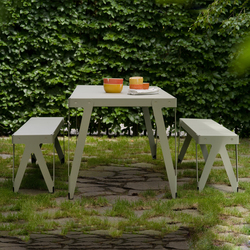 An outdoor dining table and a bench have now been added to the Lloyd Collection. 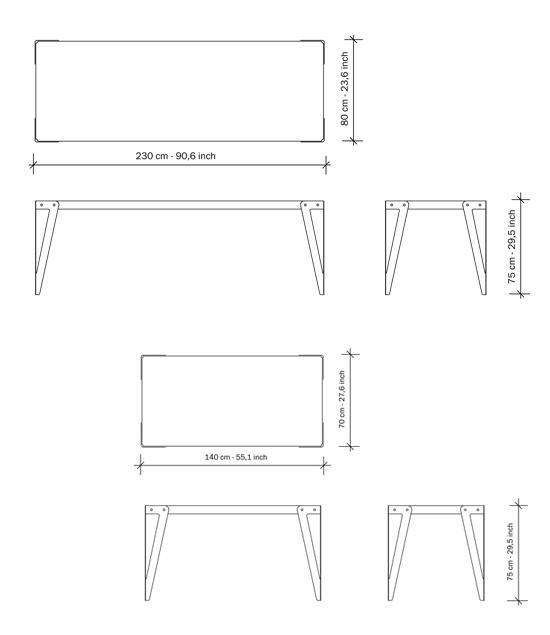 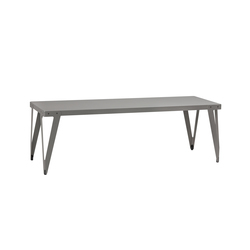 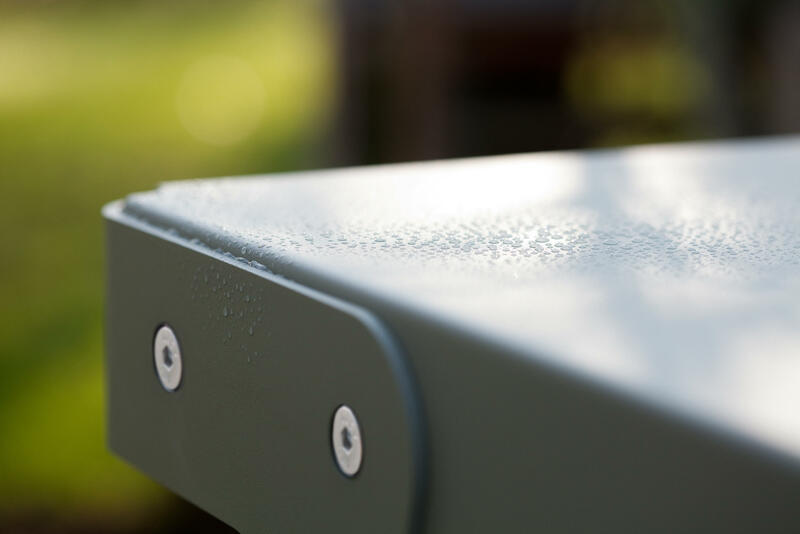 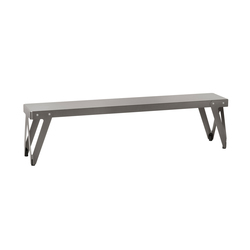 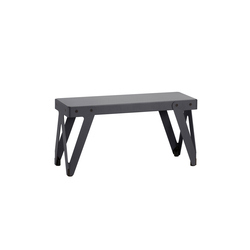 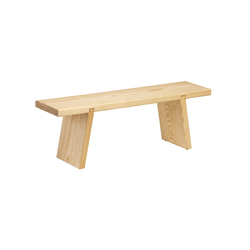 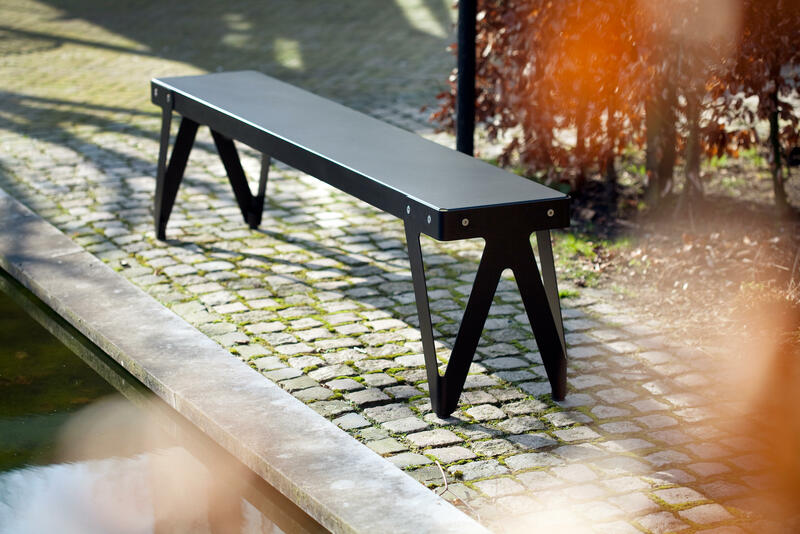 The Lloyd Bench is available in both an indoor and an outdoor version. 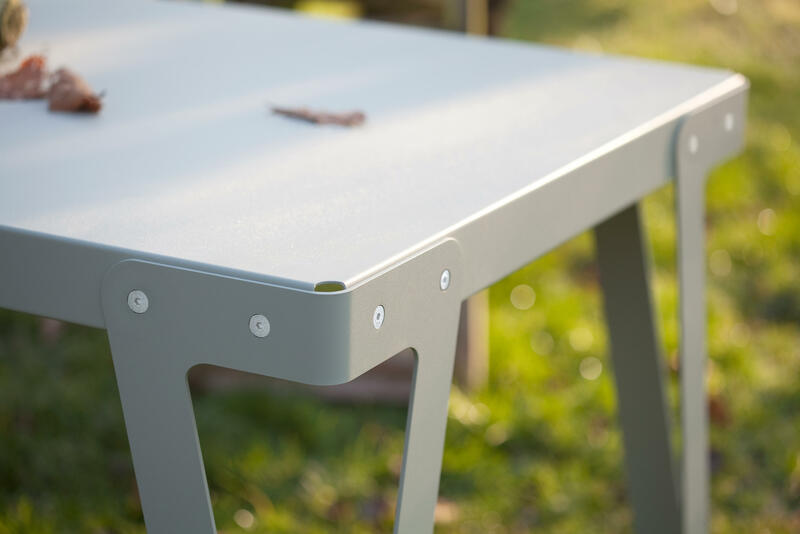 Table top: 2 mm thick steel, powdercoated. 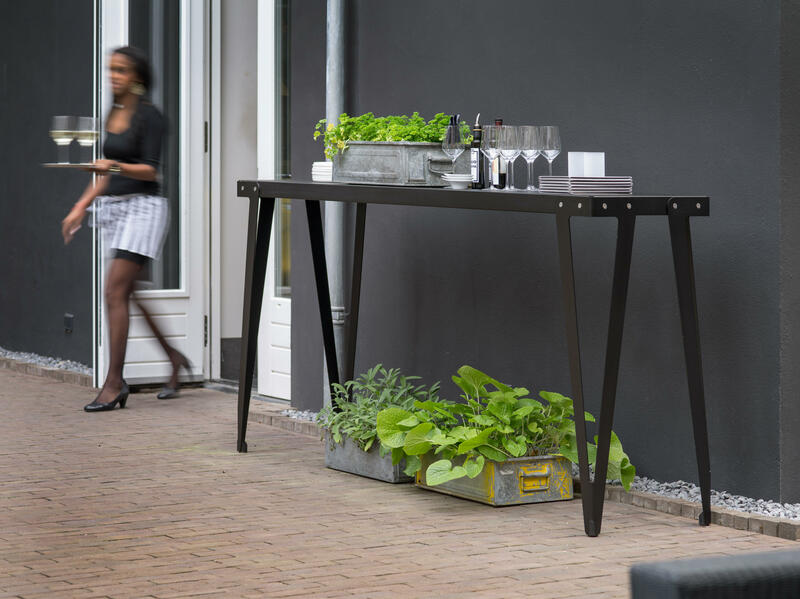 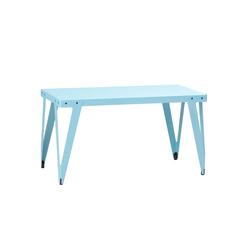 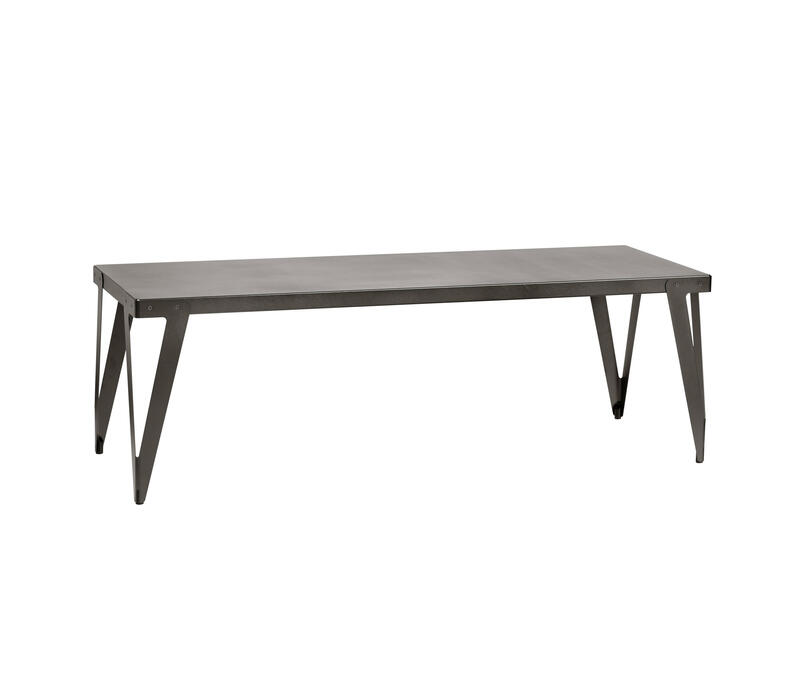 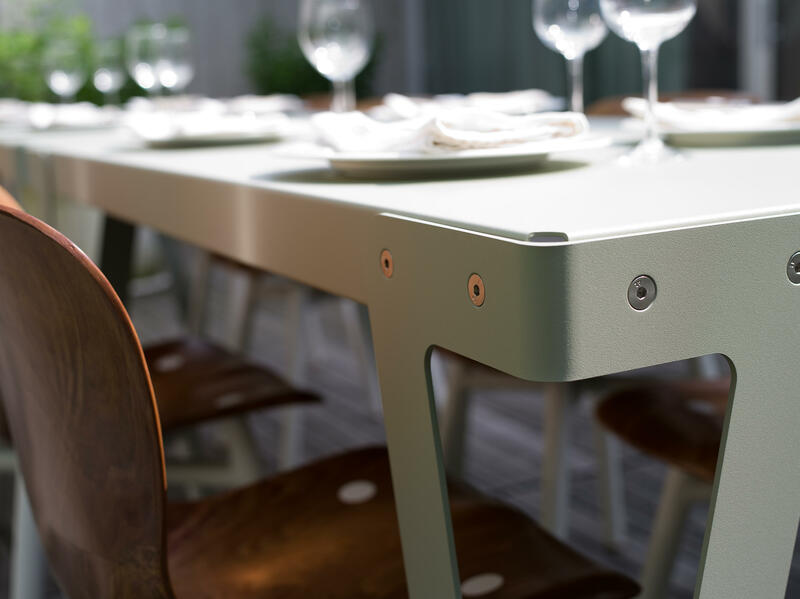 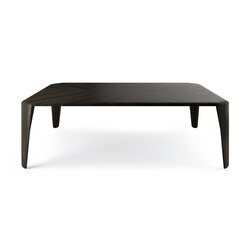 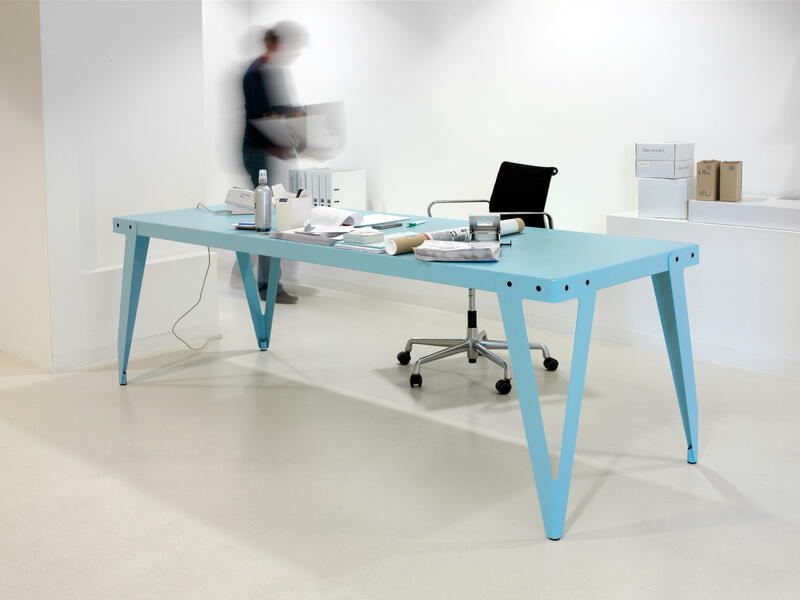 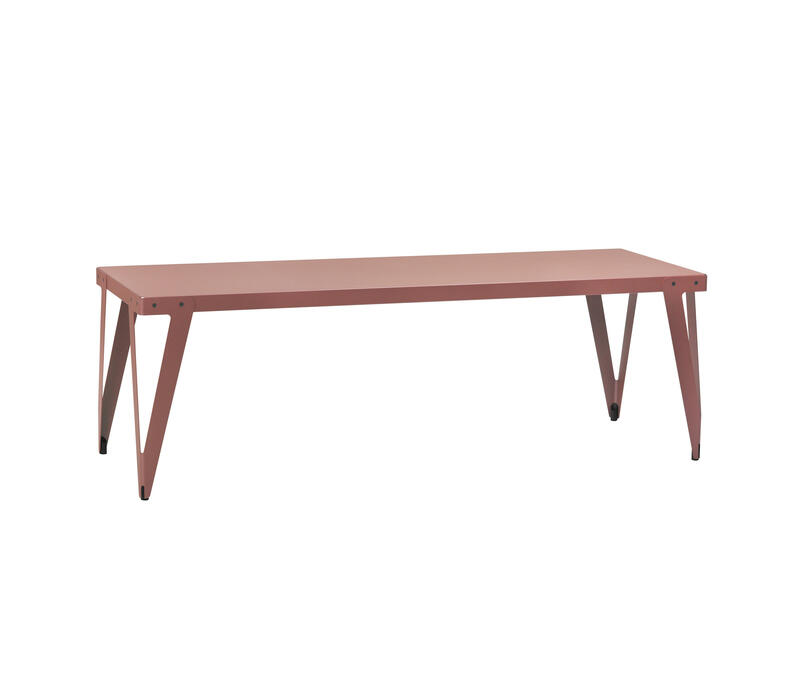 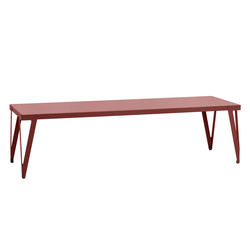 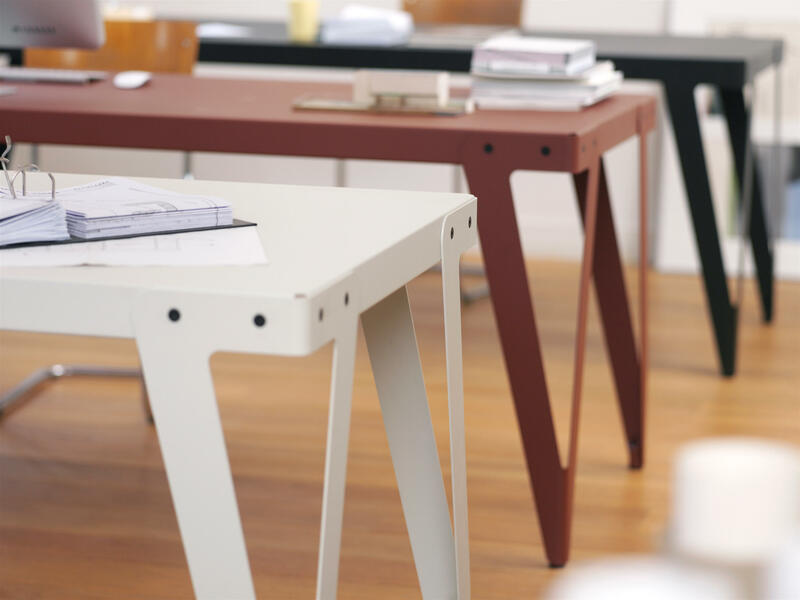 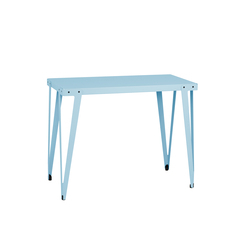 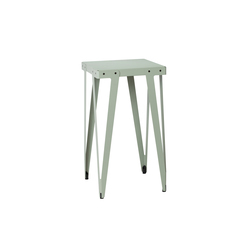 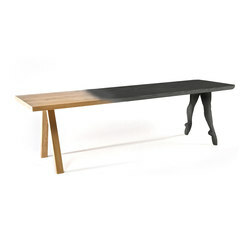 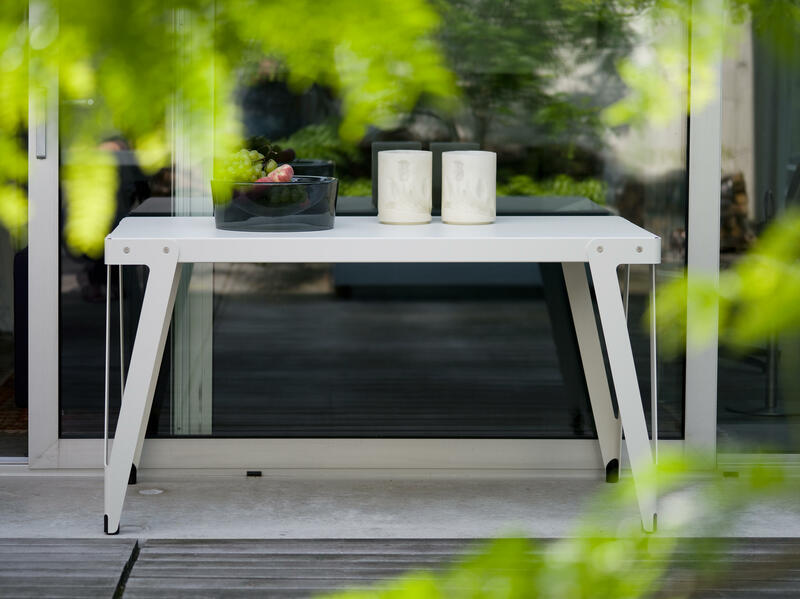 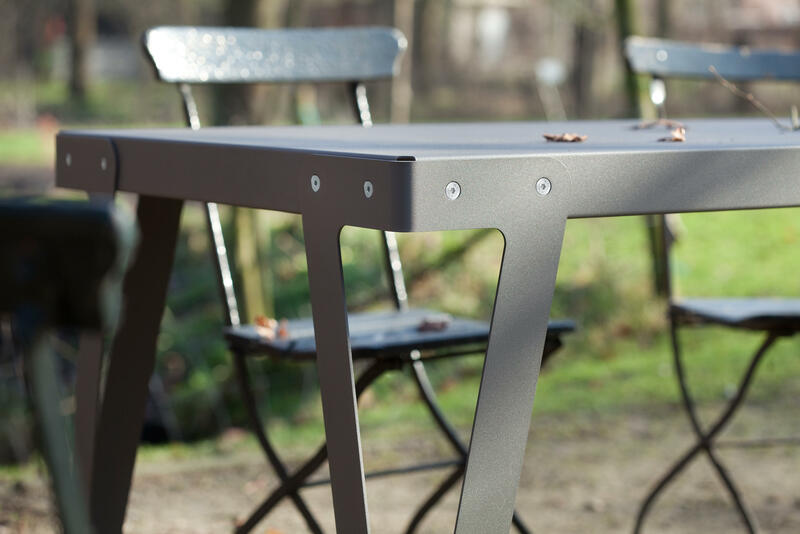 Table leg: 4 mm thick steel, powdercoated, with plastic feet. 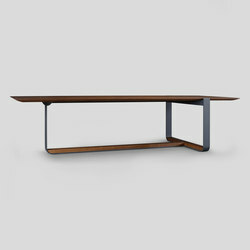 Table top: 2 mm thick steel, passivated and powdercoated. 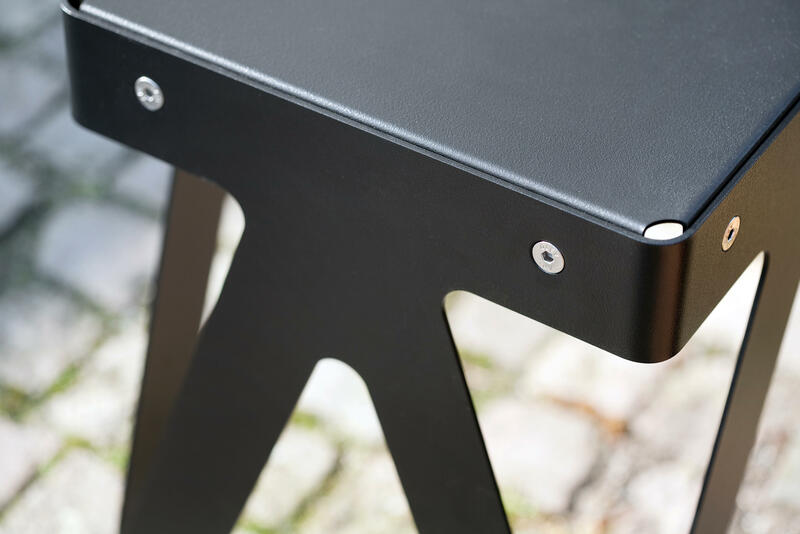 Table leg: 4 mm thick steel, passivated and powdercoated, with plastic feet. 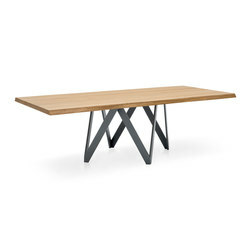 Bolts: allen bolts, stainless steel.